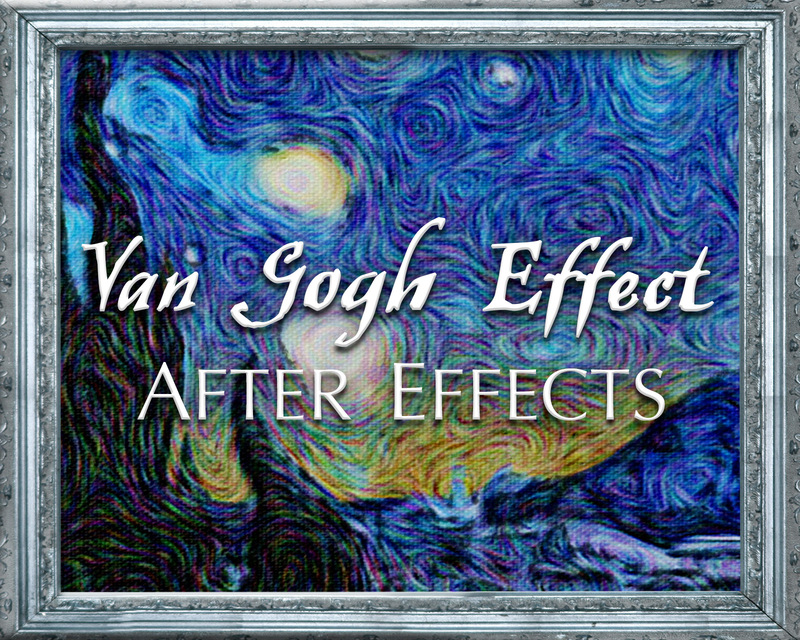 The Van Gogh Effect for After Effects allows you to instantly turn your footage into a realistic, animated painting - in a style that imitates master painter Vincent Van Gogh. Watch the Demo Video for Van Gogh Effect. The Van Gogh Effect converts your footage or images into an animated painting that imitates the style of Vincent Van Gogh. Included are two “Van Gogh Effects”, which both capture Van Gogh’s trademark swirly style, but in different ways. Just drop in your footage or photo, and instantly turn it into a painting that you can customize with convenient slider controls. Adjust the size, density, and angle of the brush strokes. Customize the amount of paint texture and canvas texture that shows through. Use the included animated mattes and frame images to present your final animation like a museum masterpiece. Adjust the frame rate with the included “Stop Motion Effect”. This easy and fun effect uses authentic paint brush textures to produce realistic results and capture that unmistakable Van Gogh style.